The Nomad Camper Package attaches to your pickup the same way as our Weekender Camper Package but a TopperLift is NOT required! Live. Where the Road takes you. 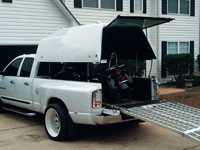 The Topperlift is a universal lifting kit that fits all full and mid-size pickup trucks, 5'-8' Box. 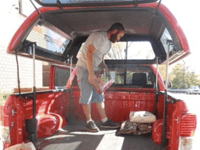 Add our universal Camper Package and transform your existing truck and topper into a cozy pop-up camper in seconds! 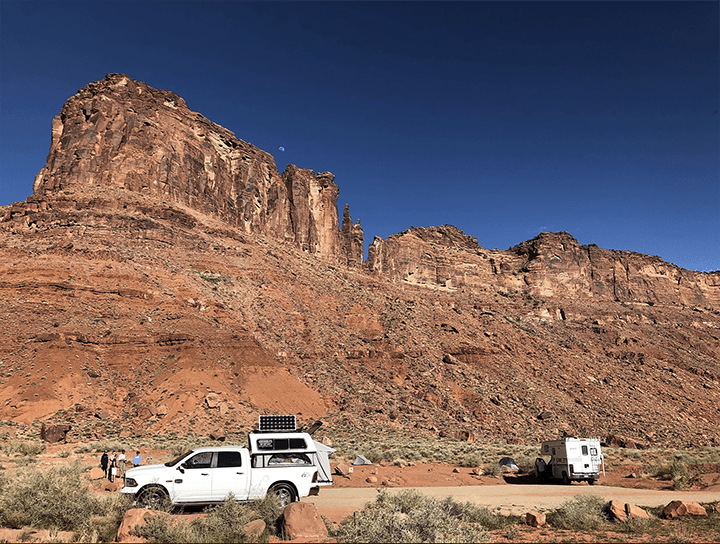 Large zippered side windows allow for easy side load access, good ventilation and a big view of those amazing vistas! 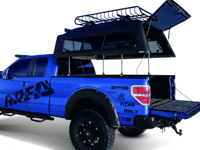 Hauling, camping, fishing, hunting and all your outdoor activities just became that much easier! The Weekender Camper Package Includes the 3 side panels and the Weekender Back. 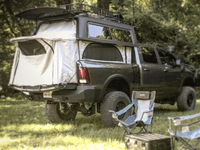 The Weekender Back Utilizes the tailgate for extra room and is perfect for short bed pick-ups needing to maximize sleeping space and the entrance functions similar to a traditional dome-style tent. 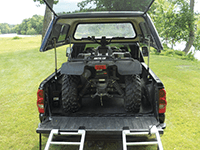 The TopperLift kit gives you more room and versatility from your existing topper. Now there’s no need to remove it when hauling your stuff! 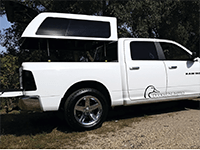 A TopperLift kit, along with our Weekender Camper package transforms your existing truck and topper into a cozy pop-up camper in seconds! A TopperLift kit and our Contractor Package give your truck plenty of extra working space that pops into place in seconds. 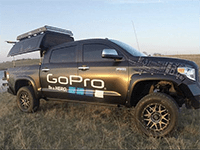 Adding a TopperLift Kit to your current truck and topper? You can do it and these accessories (hand picked by our install experts) make it a breeze. Learn more about TopperLift and explore the entire TopperLift line. There's a world of TopperLift users out there. Here's a look at just a few. What people are saying about TopperLift. I have been on several hunting trips usIng this system and it gives us the opportunity to tackle our hunt the way we want. Whether you need extra space for the gear you’re bringing or if you’re planning on making the hunt last over long distances, its a traveling bunk house with endless applications! I use it for everything….Honestly I look for reasons to use it, especially if it means I get to go out of town! I just received the replacement sides and have already installed them. They fit absolutely perfect. I cannot begin to tell you how please I am of them. I want to also recognize the exemplary customer service you’ve given me! You are truly an asset to your company and should be greatly valued by them. I will box up and send back the old sides with the return label Josh has thoughtfully included. Thanks to your customer service, I look forward to doing business with your company again, in the future. I would not have a topper on my truck If i didnt have a lift system installed. I need to use it at least once a week for hauling oversized loads. And how cool is the camper set up! I am always ready to drag the boat up north, or take a road trip out west with a nice place to sleep. Thanks for setting me up guys!